THE FOOD SAFETY Authority of Ireland has issued a recall for a range of Irish unwashed spinach products following the discovery of a bug-causing bacteria. 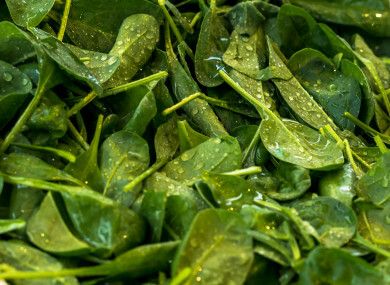 The authority has warned consumers about two batches of spinach and mixed leaves sold in Irish supermarkets following the detection of Listeria monocytogenes bacteria. Batches with the Julienne code 260 and 261 sold in Lidl, Aldi, Dunnes Stores, Tesco, and Supervalu and with ‘best before’ dates ranging from 22 to 26 September are implicated. Retailers are advising customers to dispose of affected packs, while the FSAI has also warned that some unwashed spinach products distributed to caterers are also implicated. Email “Bags of unwashed spinach and mixed leaves recalled over presence of bug-causing bacteria”. Feedback on “Bags of unwashed spinach and mixed leaves recalled over presence of bug-causing bacteria”.